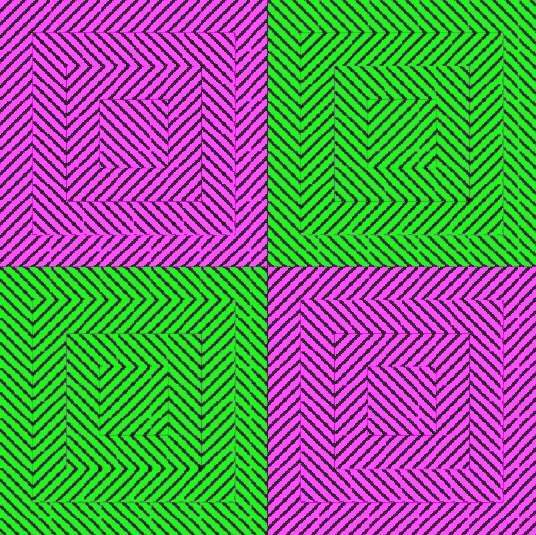 During the Optical Art (OpArt) Movement of the 1960s, artists would create all sort of puzzling effects with color. For instance, this "flashing squares" drawing seems to wobble and flash when you concentrate on one particular area of the image. How many squares can you see in this diagram? Can you feel the "motion" of the image?